As part of its efforts to stop the spread of rampant misinformation, conspiracy theories and political propaganda disguised as news, Alphabet launched ‘Google News Initiative’ to support substantive journalism and authentic news organizations through technology. 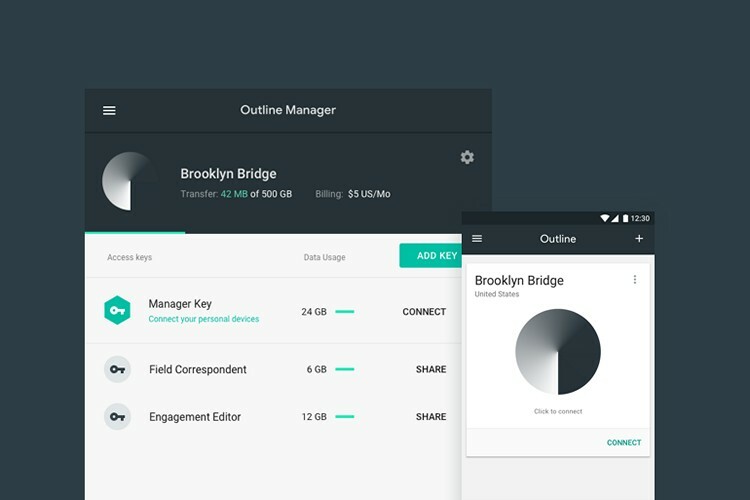 Another step being taken in that direction by Alphabet, is the launch of Outline, an open-source VPN service to help news organizations provide journalists with secure access to the internet. Outline comes from Alphabet-owned venture ‘Jigsaw’, and makes it easy to set up a secured VPN on a private server. The software is also expected to help journalists and whistleblowers make their voices heard from within the borders of countries with heavily regulated internet. The app is already available on Android and Windows, with the Mac and iOS versions expected in the near future. According to Jigsaw, its open source VPN service can be set up easily, and will give users complete control over who else can access the network. Which means each news organization or human rights group can securely exchange information using the service, bypassing the prying eyes of the government, terrorist groups, crime-gangs and hackers. Outline can be hosted on private servers as well as on cloud service providers such as, Digital Ocean, Rackspace, Google Cloud Engine, or Amazon EC2. While other open source tools like Tor have long proven to be extremely useful in helping people connect safely and securely, the technology typically slows down browsing speeds to a crawl by bouncing connections through a series of encrypted hops around the world. Given that Outline enables users to set up their own server or use established cloud service providers, speeds shouldn’t be too much of a problem. One thing to note here is that Outline is already generating controversy from the get-go. Famed cyber-security researcher and Trail of Bits CEO, Dan Guido, is accusing the search giant of plagiarizing his work, alleging that the company blatantly ripped off his open source AlgoVPN software, which he released back in 2016. It’s not immediately clear how this will play out going forward, but will certainly be worth keeping an eye on.